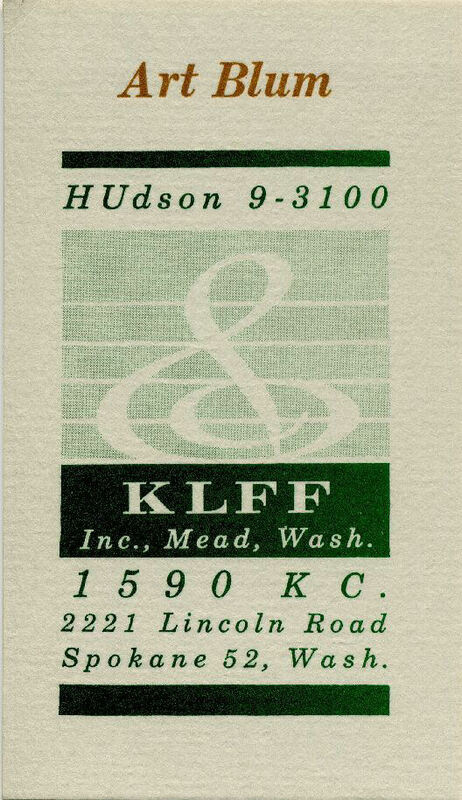 Jerry Anderson contributed this rare audio clip of KLFF "Clef Radio". 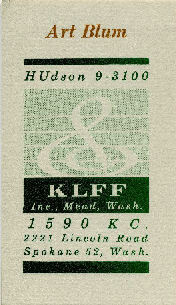 Listen here - Clef Radio Morning Show - 3 September 1964 - The announcer was Jerry Anderson himself. On the clip you can hear Top 40 music, a weather forecast, and a school lunch menu for the Mead School District.